Up until recently, the majority of Sam’s clothes have been hand-me-downs from generous friends or consignment sale finds. But, I’ve realized lately that the older he gets, the harder it is to find cute second-hand clothes in good shape. (I suspect that this has something to do with the fact that most little boys are just like Sam — they play HARD and are HARD on their clothes too!) Anyone else noticed this? T-Shirts – Plain cotton t-shirts make up the VAST majority of Sam’s spring/summer wardrobe. You know I can never resist a good stripe, but we also have LOTS of solid pocket tees (I like the ones from Old Navy, shown above) and an occasional, well-done “graphic tee” (Gap almost always hits that nail on the head). Oxfords & Polos – These shirts are just a little dressier (great for school/church/etc.) but still casual and comfy enough for a busy little boy. Hoodies & Long Sleeves – I especially like a good zip-up hoodie that can be worn over a short sleeve t-shirt on cool mornings, but I love all of these options pictured and find there are plenty of opportunities this time of year to wear long sleeves. 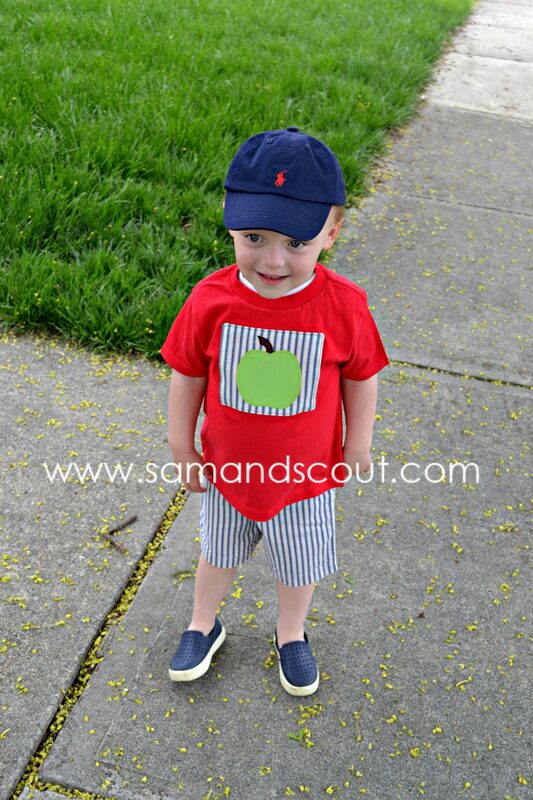 Chinos – You already know how I love a good colored pant, and Sam’s wardrobe is no exception. I think a good, clean pair of khakis (mostly worn for church and other “dressy” occasions) are essential – everything else is just fun… Gap’s “pull on” jeans – which seem so much comfier than regular jeans – are a MUST at our house. Shorts – Colored, printed, plaid… I LOVE the options out there for little boy shorts. Any of these pair great with the solid pocket tees I mentioned above, and make him look a little more “put together” for school, etc. I also love drawstring – especially jersey material – for days when we are really playing hard. Raincoat – Sam actually wears a Walmart raincoat that a friend monogrammed for us a year or so ago (I love it), but he will be outgrowing it soon, and I’ve had my eye on this one for a while. There’s just something about a classic yellow raincoat, don’t you agree? Shoes – A pair (or two) to slip on (you really can’t beat Crocs – on sale at Zulily right now), a pair to run in (we’ve been wearing New Balance – from Rack Room – for over a year now and really like them), and a pair to dress-up (we have a Sperry knock-off also from Rack Room that we like a lot), makes a pretty solid shoe collection for a little boy. FYI: So far, we’ve been tying shoes, but I’m getting kind-of sick of it, so we’ll likely move to velcro for the next size up. There you have it, folks! Sam’s wardrobe is actually a lot more fun than mine, don’t you think? Where do you shop for your little one? What do you consider “essentials”? *Post is not sponsored/ contains no affiliate links. Hahaha that collage looks like a shrunken version of my personal wardrobe!! Striped shirts and colored pants/shorts…check and check!! Way to be stylin’, Sam! Sam is a stylin man! I love those pocket tshirts! My little guy is just 7 months old, but I’ve already gotten to work on his wardrobe for next winter. I caught some amazing sales in January and got him tons of sweaters and pants at Gymboree and Gap at a great discount. I usually stick to clearance sales, Once Upon a Child, and consignment sales, unless I see something that I just MUST have for him (like seersucker Osh Kosh overalls…I die). i agree that there are more options for girls at “cheaper” stores (like target, old navy, etc.) and the super cute stuff for boys is at boden, gap, janie & jack…but for some reason now that i have a girl it seems harder to dress girls. i feel like the standards are somehow higher. whenever mary virginia is in “play clothes” i feel like she looks sloppy. and, i had no idea, but dresses are EXPENSIVE. those fancy smocked dresses everyone wears are like $50+ new. cuh-razy! also — i couldn’t agree more about the “little man” but not a baby. 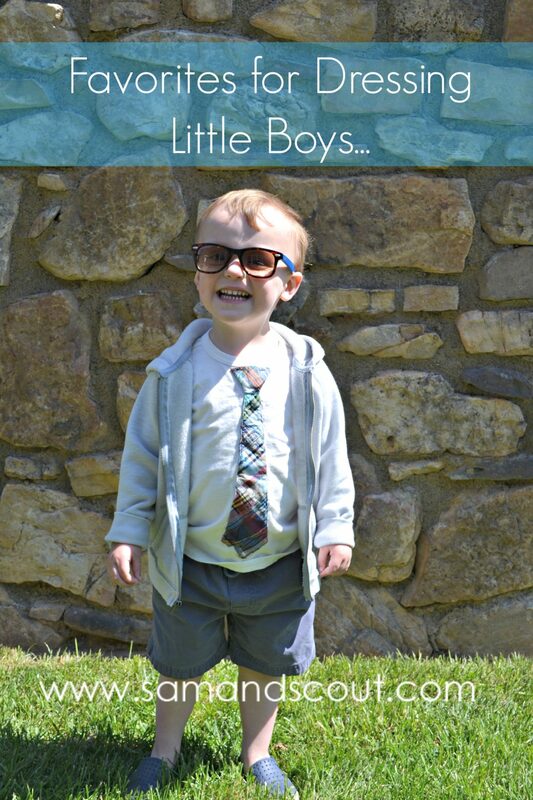 i never dress my babies like little adults, they’re only babies once! why put mini skirts on my baby girl when she can wear comfy rompers?? This is also considered the favorite of Lindsay Lohan. You need not spend too much just to get the latest trendy clothes for the season. stories have contemporary settings and story twists which are stimulating and enjoyable. the Mass finishes at 1 am on the following day.